Great casual necklace for daily wear. 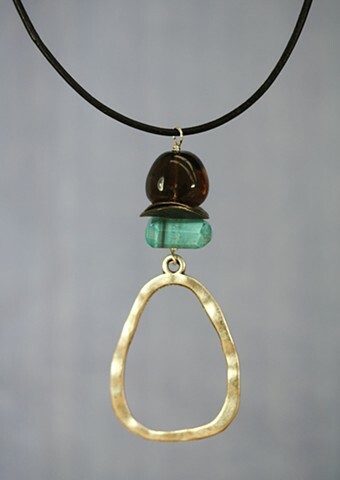 Smoky quartz, German silver disc spacers and a beautiful blue chalcedony stone with zinc organic shaped pendant. Black leather cord with sterling lobster claw clasp and 2" extender. Approx. 16 1/2-18 1/2"